Discover a vibrant and easily walkable downtown. Visit grand historic sites, family-friendly communities and seaside villages with a wonderful sense of character. 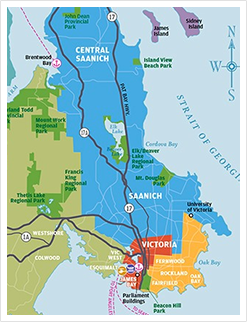 Victoria’s downtown and Oak Bay, Esquimalt and Saanich communities are the perfect starting point to explore unique history, shopping, sightseeing, dining and nightlife adventures. 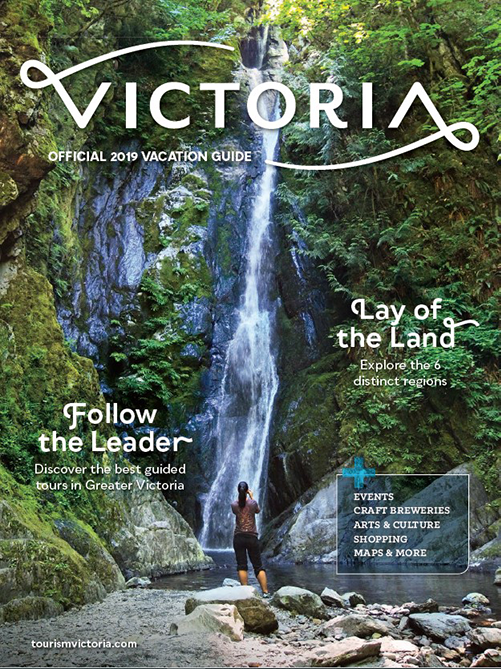 Easily explore thousands of years of history, including First Nations artifacts and modern marvels at the renowned Royal BC Museum, then cross the street for an insider's view of the imposing Parliament Buildings. Make time for some of downtown's smaller slices of history, too, like Carr House, the childhood home of much-loved artist Emily Carr, and Helmcken House, one of the oldest homes in the province. Immerse yourself in Canada's naval history at CFB Esquimalt Naval and Military Museum which provides a fantastic insight into naval life with some amazing exhibits housing historic artifacts. With more restaurants per capita than almost anywhere else on the continent, Victoria is a foodie’s paradise and home to a proud focus on fresh, inspired and local fare. Dive into some dim sum in Canada's oldest Chinatown or enjoy just-caught seafood at a dockside café. Victoria's chefs work magic with delicious organic and local fare. 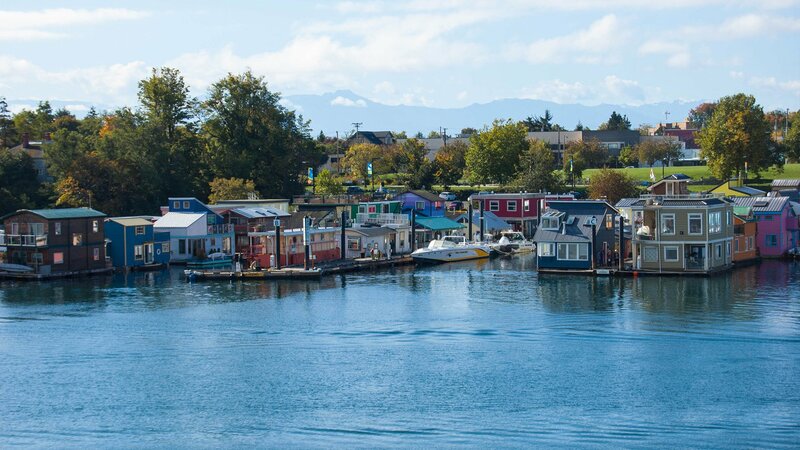 Visit Oak Bay for a dinner of sustainably harvested seafood at the Marina Restaurant or take in a show at the Oak Bay Beach Hotel's dinner theatre. A vibrant community just minutes from downtown, this seaside setting boasts beautiful beaches and a vibrant visual arts culture. Government Street, a main shopping district, is the place for hand-crafted local souvenirs, treats and fashion—The Bay Centre alone has nearly 100 shops. Satisfy your sweet tooth with a Victoria Cream at Rogers' Chocolates (the 1903 store is as appealing as the confections). On LoJo (Lower Johnson Street), browse local designs in the boutiques that line this stunning, historic street. 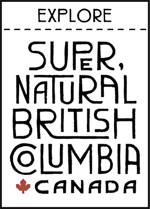 Visit the breathtaking ballroom, parlours and turret sunroom of Craigdarroch Castle, a grand mansion coal baron Robert Dunsmuir built for his wife in 1889, then check out the top-ranked Asian art at the nearby Art Gallery of Greater Victoria. Gardens and stately mansions abound in this area. Other top options include the serene Abkhazi Gardens, a stunning example of West Coast horticulture with a tea room and a romantic back story. The regal grounds of Government House—the official residence of the Queen's representative in British Columbia—are another must-see stop. Explore Esquimalt Lagoon, an an important stopover for birds migrating on the Pacific Flyway, a “bird highway” between North and South America. The lagoon is bordered by some of the oldest Coastal Douglas Fir Trees on southern Vancouver Island.